If you are considering replacing tyres why not take advantage of some of our amazing special offers. We have offers on for the purchase of two tyres, the purchase of four tyres and even offers for existing customers that do not require any tyres. 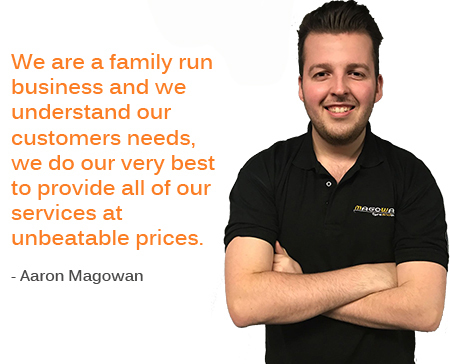 We really have something for everyone, so have a look below and see how you can save money today. Simply select the offer that suits you best, based on your tyre purchase. 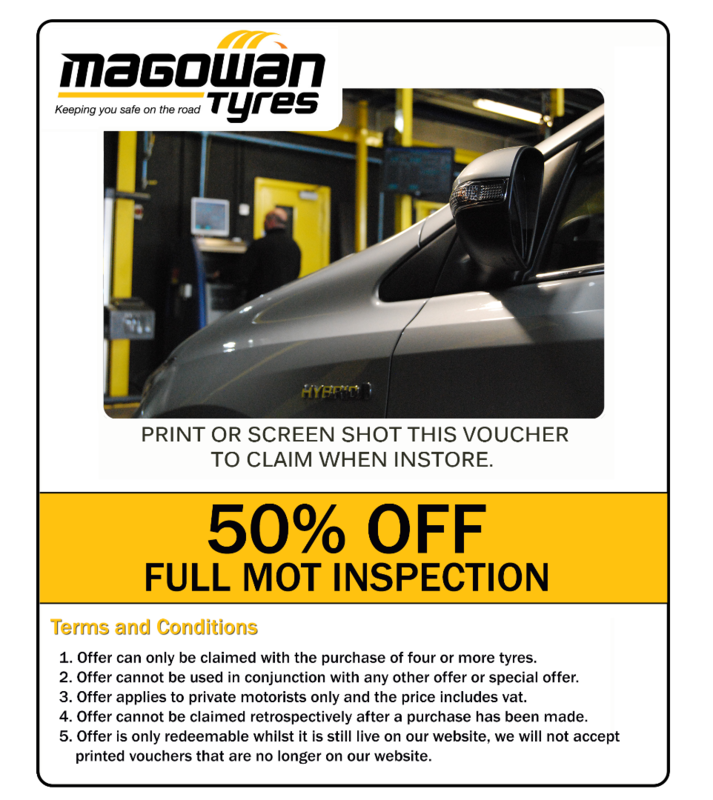 Print the offer or take a screen shot on your phone and present it to the sales team when you arrive at our depot. 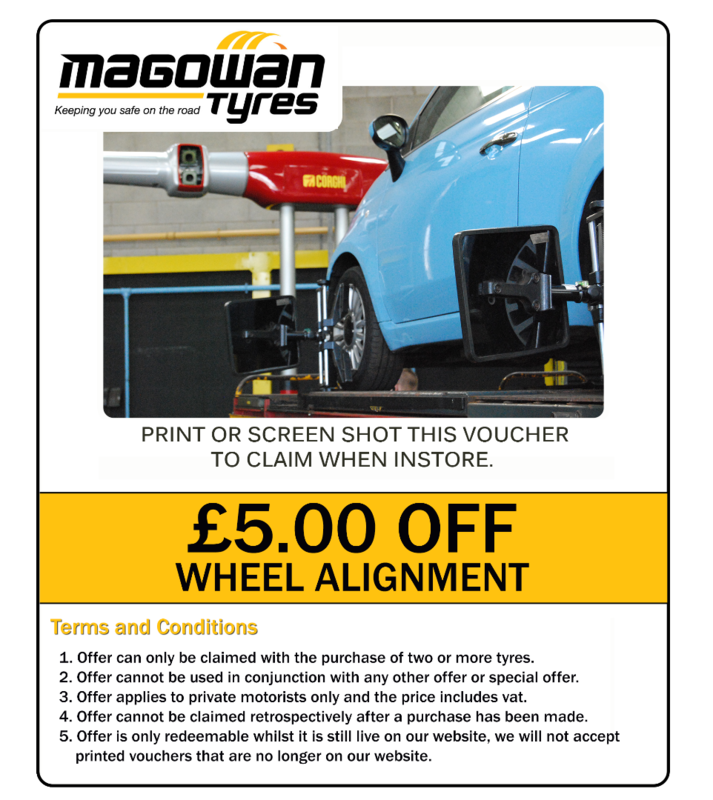 Purchase two tyres and receive £5 off the final price of your wheel alignment. 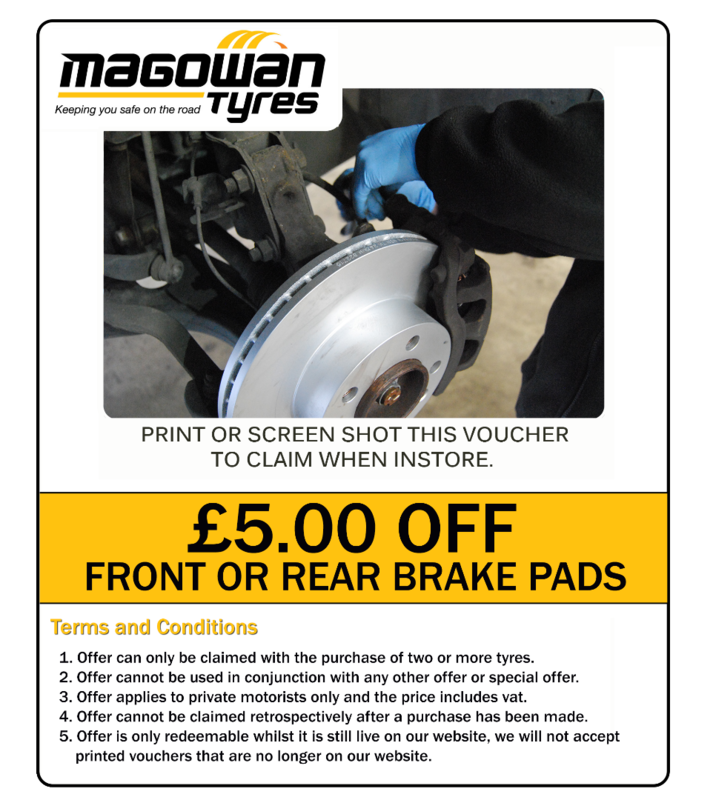 Purchase any two tyres and receive £5 off a set of front or back brake pads. 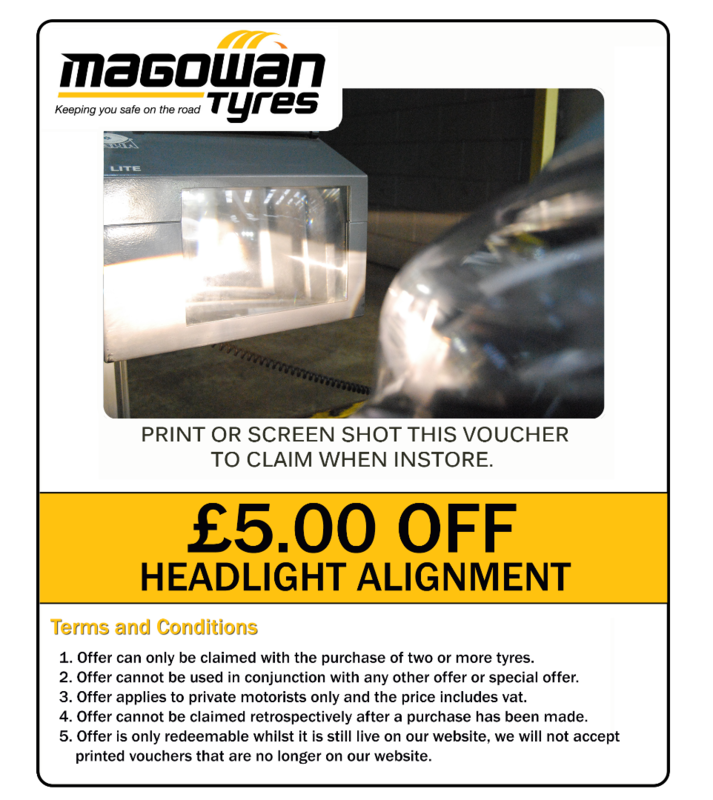 Purchase two tyres and receive £5 off a headlight alignment (MAHA). 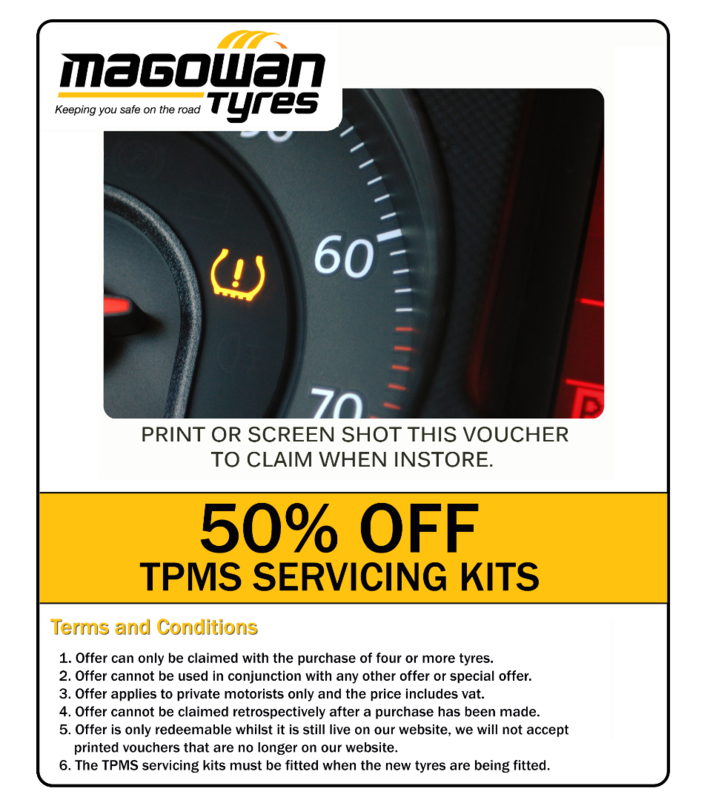 Buy four tyres and get 4 TPMS service kits half price. Service kit includes replacing the valve stem sleeve and nut, valve cap, valve core and rubber grommet, all which help to ensure an air-tight seal. Buy four tyres and receive £12.00 (50%) off a full MOT inspection. This involves a full visual plus running your car over the rolling road to find any faults such as the slip test, headlight alignment, shocks and brakes. Only available in Mallusk Depot.